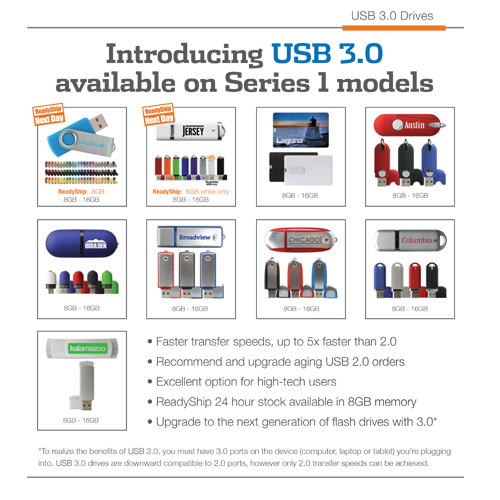 Custom USB 3.0 drives: Share files with your clients through media that has your logo imprinted on it. Perfect for photographers, schools, nonprofits, accountants and anyone who shares data. Call us today to see which type will be best for you and your organization. *To realize the benefits of USB 3.0, you must have 3.0 ports on the device you’re plugging into.